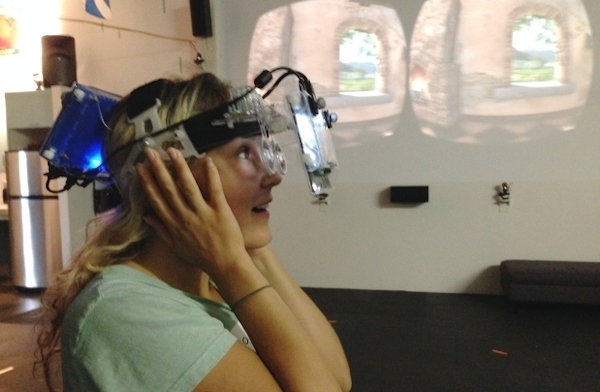 Job: Research Associate in VR and Agent-based Simulation at Sheffield U. Closing Date: 5th September 2014. Summary: We invite applications for the position of Research Associate in Virtual Reality (VR) and Agent-based Modelling (ABM) to work on the Premonition project, a recently awarded research grant funded by South Yorkshire Fire and Rescue Authority and co-ordinated by Dr Daniela Romano (Department of Computer Science) and in collaboration with Dr Dermot Breslin (Management School) and Dr Steve Dobson at Sheffield Hallam University (Department of Finance, Accounting and Business Systems). The post holder will be implementing the Agent-based simulation on the GPU including the conceptualization of the correct cognitive model to be utilised for the agents. In addition s/he will support the data collection and attend to the big data analysis to be used within the simulation. Finally s/he will support and collaborate with all partners in the projects and researchers and students in the VR group; disseminate and present the projects results as required (including attending to any outreach activity connected with the project); and support the submission of any follow-on project where necessary. Read more on Job: Research Associate in VR and Agent-based Simulation at Sheffield U…. It’s proving difficult to get a photo of the moa. The towering bird crosses Rotary Park, carelessly bowling through a triceratops, stands still under a tree dotted with pigeons, stares down at us for a while, then lopes off again. 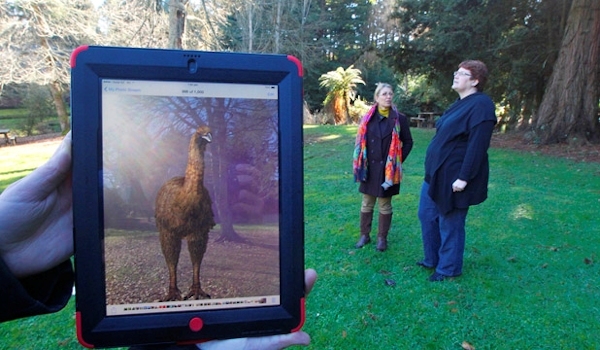 Rotary Park, opposite the iconic Otorohanga Kiwi House, is host to the world’s first virtual moa park. While Labour MP Trevor Mallard pushes his view that recovered moa DNA may one day see the extinct bird roam Wainuiomata, Otorohanga is front footing a lifesize 3D digital version in its own backyard. Although the project is still in its prototype phase, the Waikato Times got a first-hand look at the intricately designed big bird – moving as it would have when it roamed through prehistoric New Zealand. The moa is viewed through a smart device such as a tablet, or smart phone, using the system’s camera. It’s similar to a giant Playstation, where a real park becomes a virtual playing field. The player explores this parallel universe by moving around, interacting with whatever programmers drop in as virtual content. The AISB Convention is an annual conference covering the range of AI and Cognitive Science, organised by the Society for the Study of Artificial Intelligence and Simulation of Behaviour. The 51st Convention will be held at the University of Kent, Canterbury, UK, from 20-22nd April 2015. The convention is structured as a number of co-located symposia, together with a number of plenary talks and events. A symposium lasts for one or two days, and can include any type of event of academic benefit: talks, posters, panels, discussions, debates, demonstrations, outreach sessions, exhibits, etc. Each symposium is organised by its own programme committee. The committee proposes the symposium, defines the area(s) and structure for it, issues calls for abstracts/papers etc., manages the process of selecting submitted papers for inclusion, and compiles an electronic file for inclusion in the convention proceedings which are published on the AISB website. This is the most heart-warming video game ghost story I’ve ever heard. 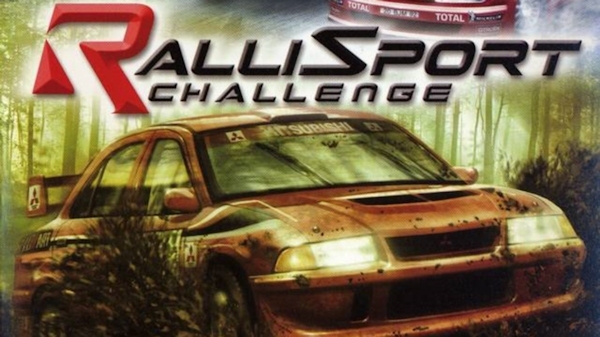 According to a post on Motoramic, a YouTube commenter that goes by 00WARTHERAPY00 shared a supernaturally touching story about racing their father’s ghost in Xbox racer RalliSport Challenge, 10 years after he had passed. 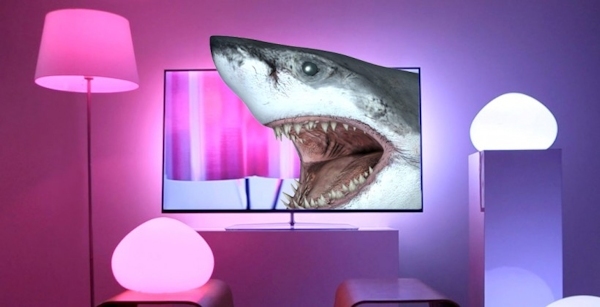 Syfy Sync and Philips Hue are working together to give you a more immersive movie experience while watching the sure-to-be-masterpiece Sharknado 2: The Second One. The Vienna University of Technology invites applications for a Full Professor position at the Faculty of Informatics. The open position is affiliated to the Institute of Design and Assessment of Technology. The successful candidate will have an outstanding research record in the field of Ubiquitous Computing and focuses on next generation ubiquitous computing systems and their application in authentic real world settings. Particular research topics of interest include sensor-rich environments; interactive and smart spaces; new interaction paradigms; Internet of Things; mobile and context-aware computing; awareness and privacy; and tangible, situated and embodied interaction. Besides research, the duties of a full professor at the Vienna University of Technology include graduate and undergraduate teaching (in English or German) as well as contributing to usual management and faculty service tasks. The Vienna University of Technology announces a tenured Full Professor position. The appointment will follow a two step procedure: The initial appointment will be for 5 years. The appointment will then be made permanent following a positive evaluation not earlier than the third year. VANCOUVER — If you can trace your way through blind alleys and dead ends to an old sawmill tucked away at the foot of Vancouver’s Shaughnessy Street, you’ll find yourself in a different world. A virtual world, and one that is realizing the dream of some Vancouver tech specialists of bringing virtual reality to the masses. Called, fittingly enough, the Sawmill, in a nod to the building’s provenance as a sawmill located in a spot handy for logs floated up the Fraser River, the studio is equipped with state-of-the-art motion capture technology that lets everyone — from pro developers to ordinary folk — play and create projects in a virtual online world.